Euro-Mir is an excellent roller coaster in Russia and one of the best attractions at Europa Park. 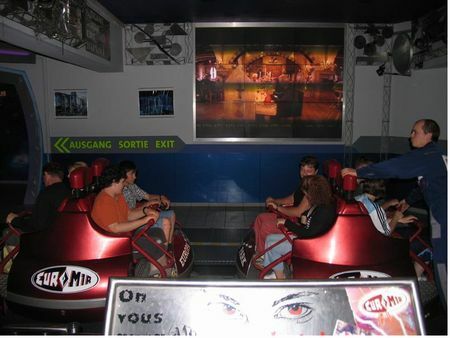 One of Europa Park's truly great rides, Euro-Mir takes guests on a rollercoaster ride, supposedly through the space station of the same name, via a train of spinning vehicles. The imposing glass towers that the ride runs through are just a glimpse of the fun yet to come.